Into a bowl, add the coffee powder, sugar (powdered sugar is recommended for faster whipping), water. Using a hand blender, blend the mixture on medium speed until the coffee is whipped well and the sugar is dissolved in. The colour should turn to pale, once completely whipped. This may take around 7-10 min time. Now add ½ tsp finely powdered cardamom seeds powder and whip again. Whip on high speed in the last 2-3 minutes of blending. Adding cardamom powder is a secret ingredient, I use for my Cappuccino, which gives a very perfect restaurant style taste for this coffee. Once done, the mixture should turn to the consistency of whipping cream. Now you can refrigerate this in an air tight container for a week. Take a saucepan and add 2 cups of fresh full cream milk to boil. Make sure not to add extra water. Add a pinch of cardamom seeds powder. 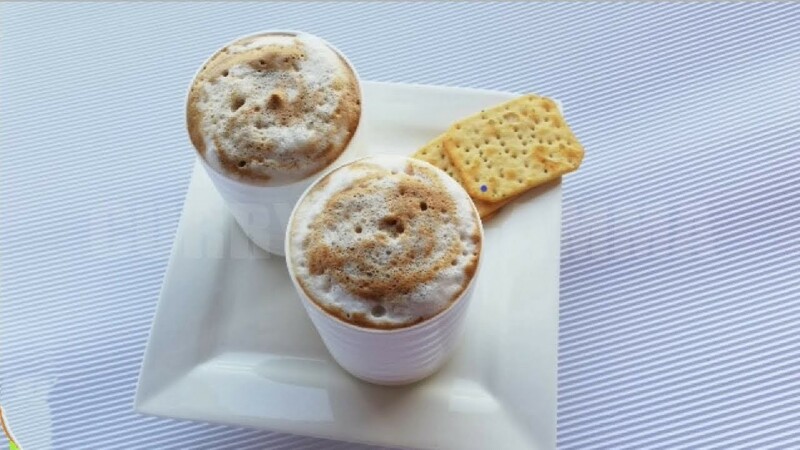 You can froth the milk either by using a hand blender itself or froth it by using 2 cups. Now remove the froth and keep aside. 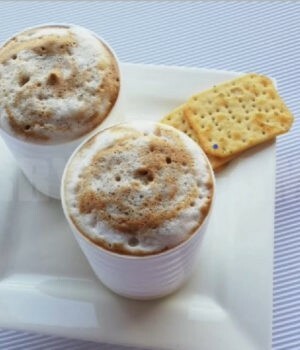 Take 2 coffee cups, into which add 1 tbsp each of the coffee whip and 2 tbsp each of boiled milk. Mix well with a spoon. You can add extra sugar if you need at this stage. Now fill the glass with extra frothy milk. Add some milk froth on top of it. Finally add a tsp each of the coffee whip and swirl with a skewer and serve.